Please help us shine and spread cheer this holiday season! Your contributions will help us produce Japanese cultural programs to educate, enrich and inspire our community in Brooklyn, NY! 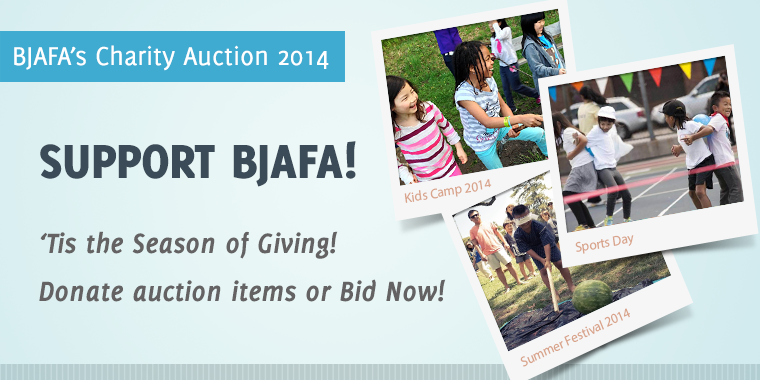 Starting on November 24, 2014, BJAFA will be auctioning off a number of fun and unique items to bid on to raise money for our organization - and the more items we have the more money we can raise, so we're asking for your help.